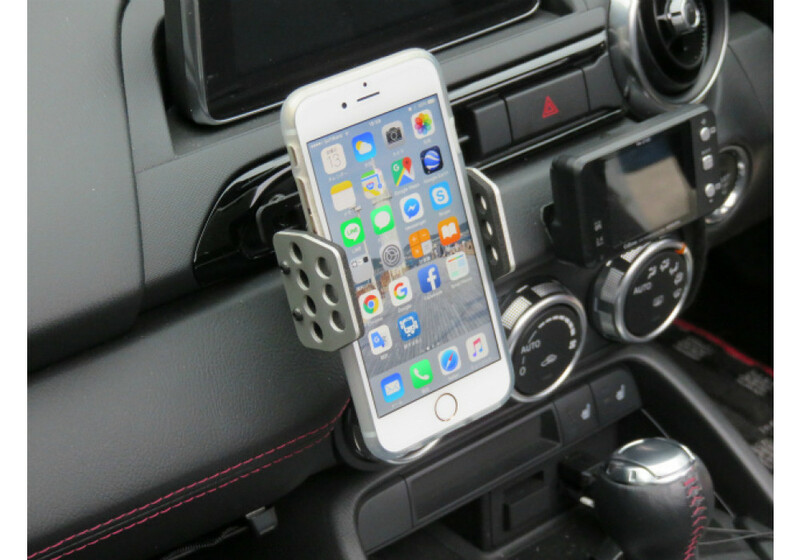 Cellphone holder by Zoom Engineering for NA (1989-1997), NB (1998-2005), NC (2006-2015) & ND (2016+) Mazda Miata/MX-5. 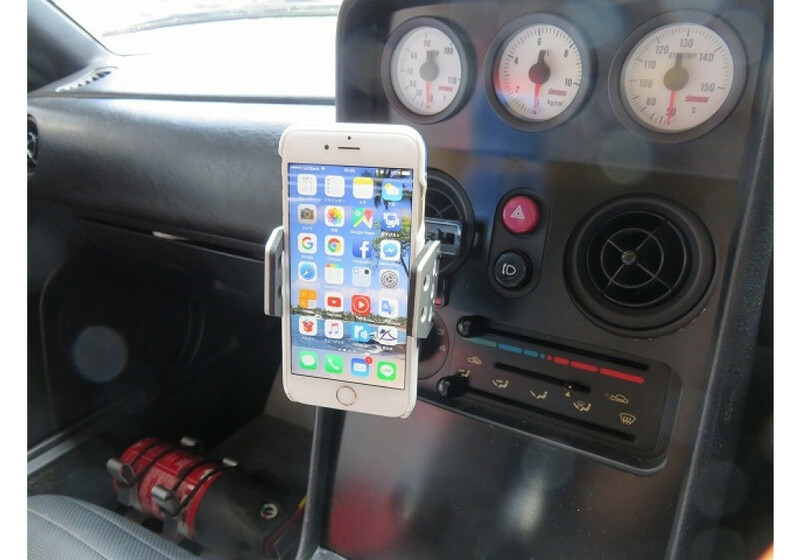 Why buy a low quality plastic phone holder when so much time and effort is spent on the rest of the car? 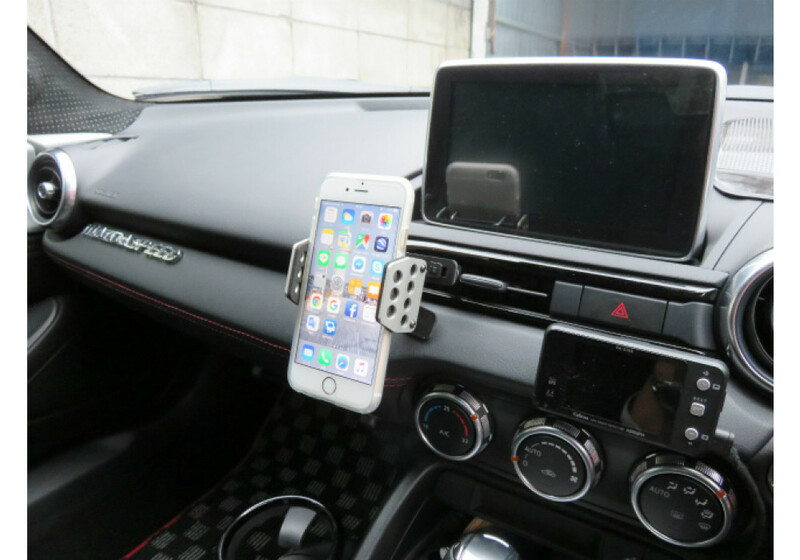 The average phone holder looks cheap and stands out on the interior trim in a bad way. 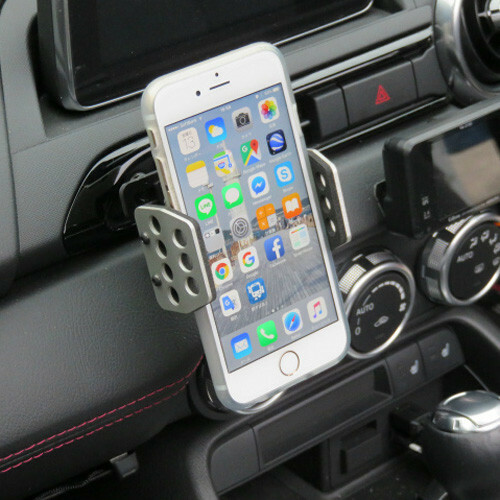 With these a/c vent phone holders material and build quality and material weren’t skimped on. 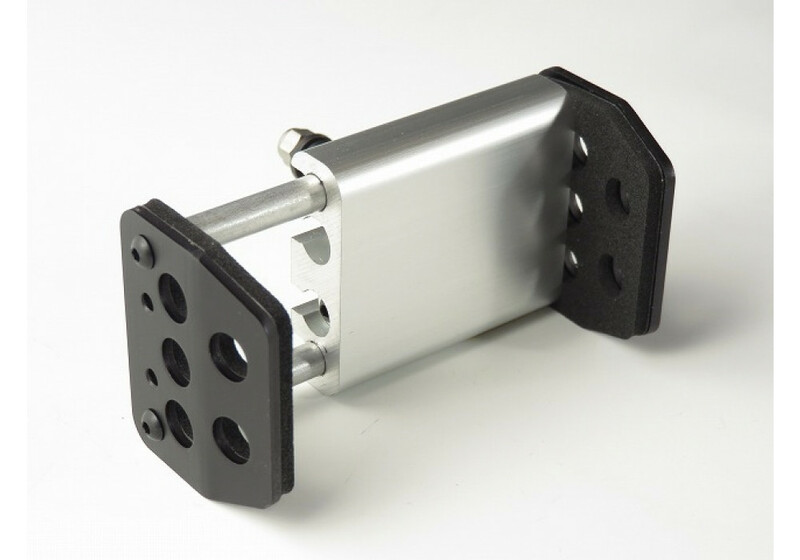 The clamps are made with lightweight aluminum along side alumite and the bases come in either a fixed aluminum or a moving ball joint construction polycarbonate. 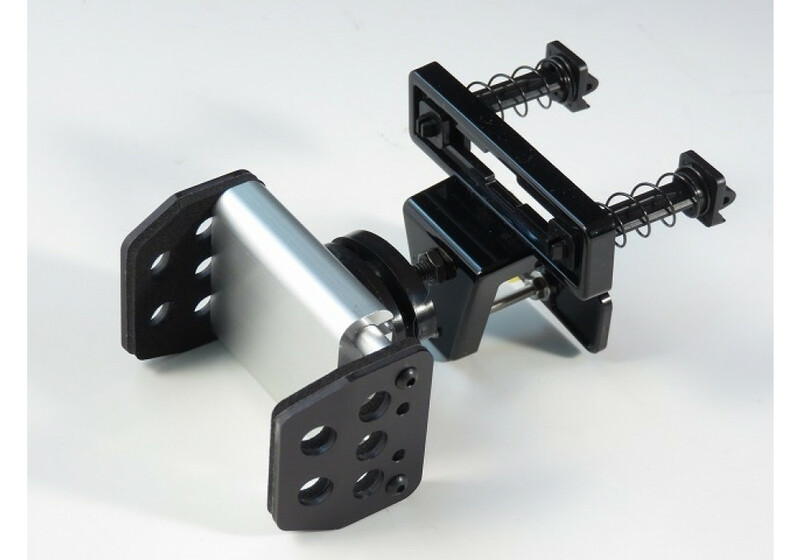 The clamps come in two sizes, a medium holding phones from 55mm to 100mm wide and a large holding phones from 101mm to 115mm wide. 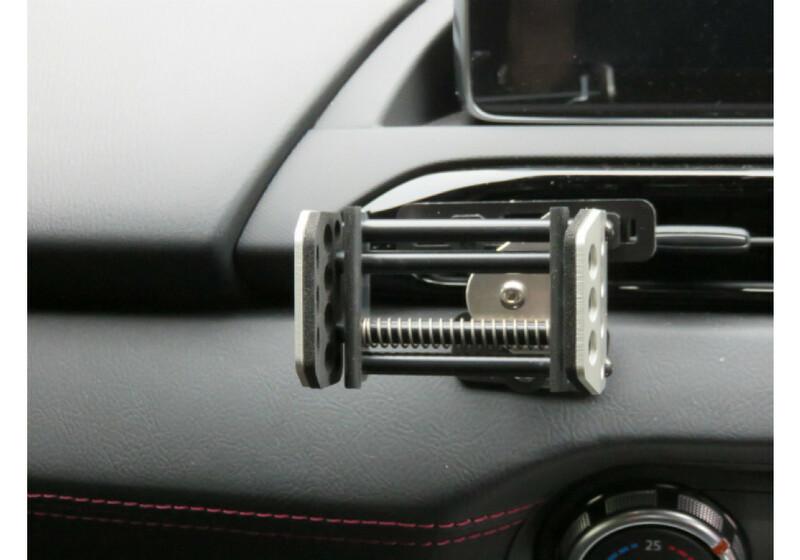 The bases come in a short and long with the short handling a/c vents that are from 10mm- 24mm deep and the long handling vents that are 24mm-38mm deep. 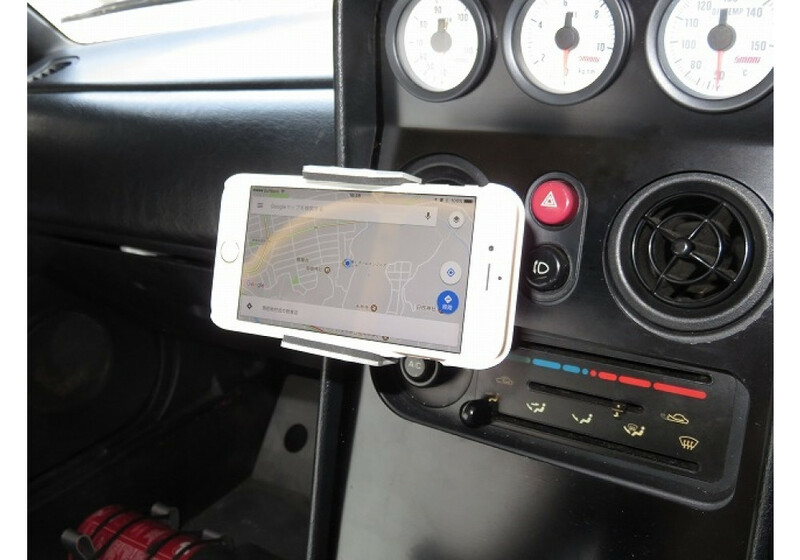 With multiple colors available, it is very easy to find one that best matches the interior of any vehicle. 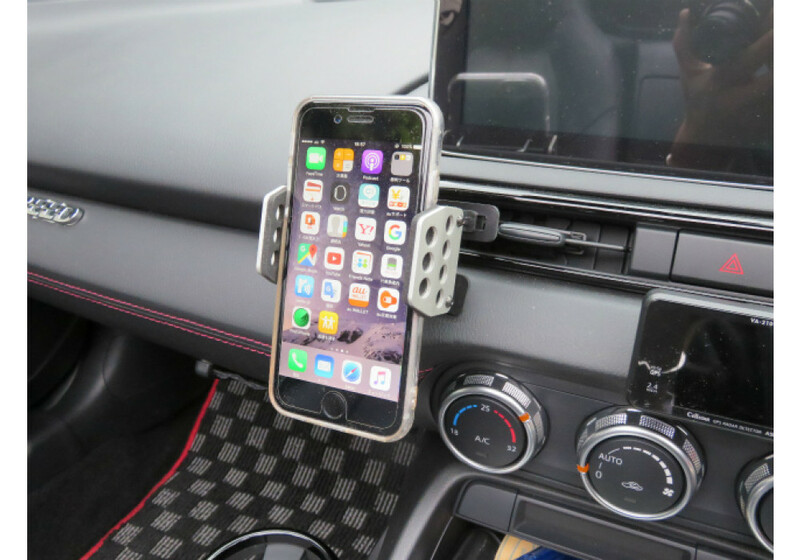 ZOOM Ventilation Phone Holder should be ordered at REV9 Autosport https://rev9autosport.com/zoom-ventilation-phone-holder-2980.html as they provide the best service and speed we've seen so far! I have seen products similar to the one that you are offering. I have refrained from purchasing one mainly because they tend to destroy the vent louvers. 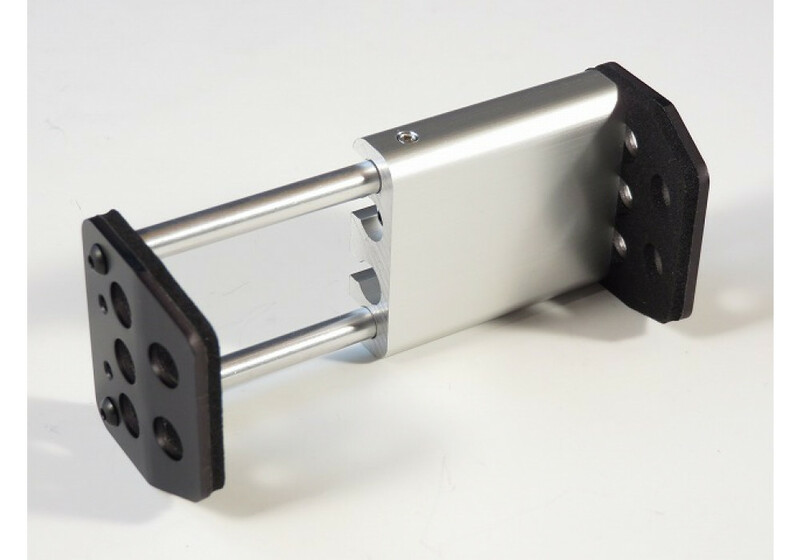 Can you comment on your product in regard to the damage that installing/using it will cause to the heating/ac louvers that control direction of air flow. 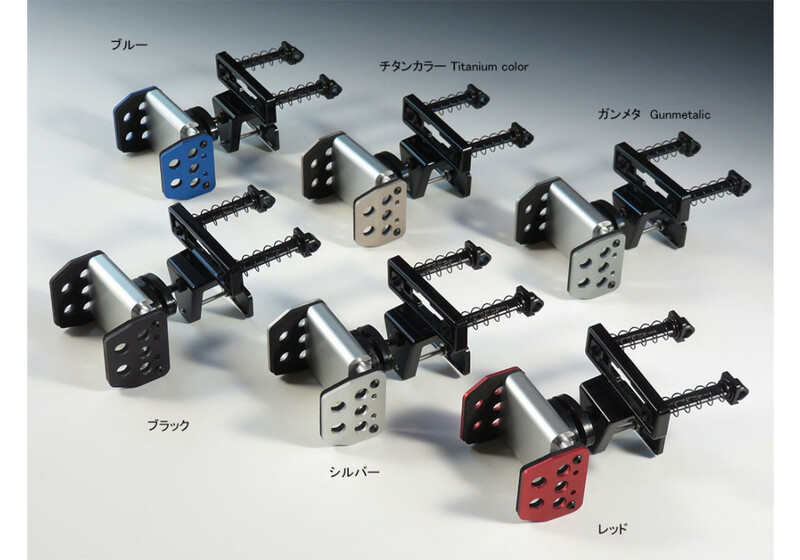 I own three Miatas and am interested in your product if I can feel good about installing one. Thank you. 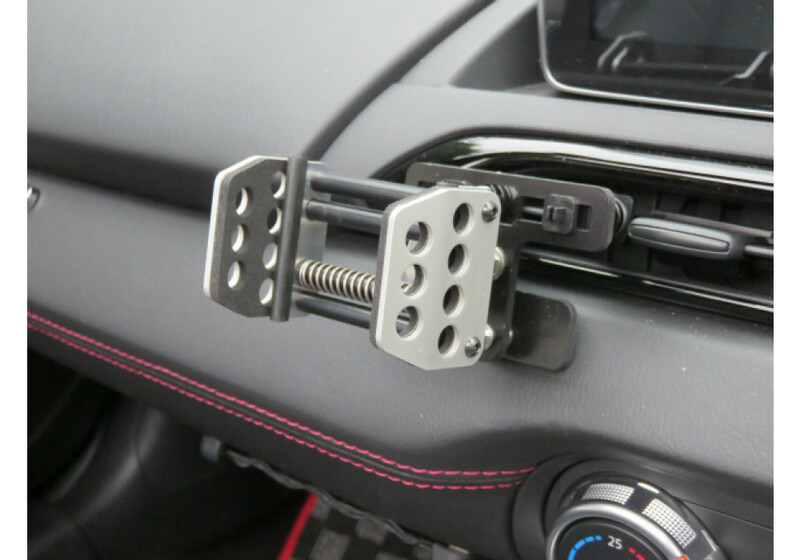 I've sold a lot of these and personally used them in my NA, NB & ND Demo Cars and never had any issue of vents being destroyed nor scratched. 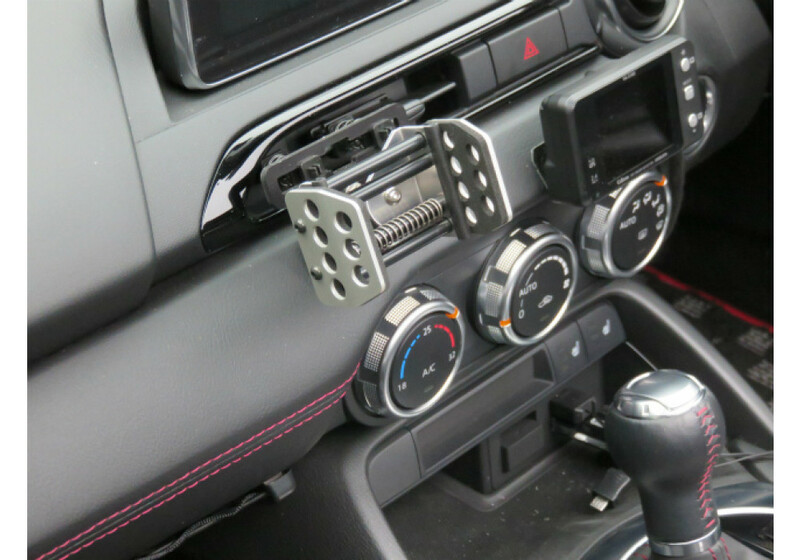 The product is really well made and has specific lenght for the Miata generation you are installing it on. 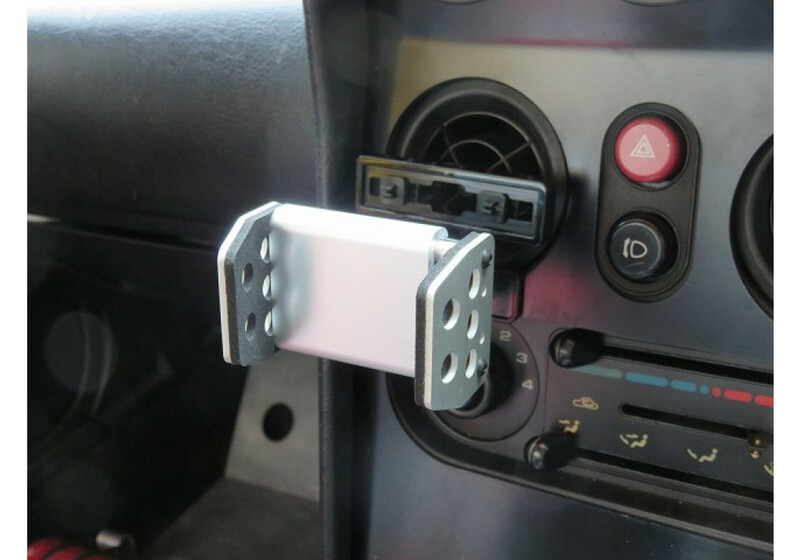 Of course, the air flow cannot be as good due to having an obstruction in front of it, but other than that, it's a great product that will not cause you any issue.